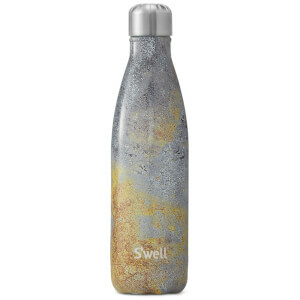 The Golden Fury Water Bottle from S’well, from their Patina Collection, features textures and colours that reflect natural metals as they age with age. Crafted from triple-walled, vacuum insulated high-grade 18/8 stainless steel, it will keep drinks hot for 12 hours and cold for 24 hours. 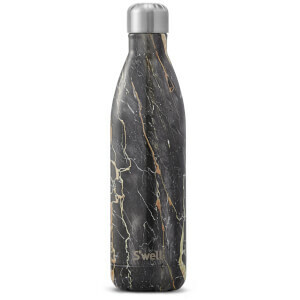 Developed with innovative ThermaS’well technology, the reusable bottle boasts a copper layer that ensures a condensation-free exterior that will not drip, leak or sweat on hands or in a bag. 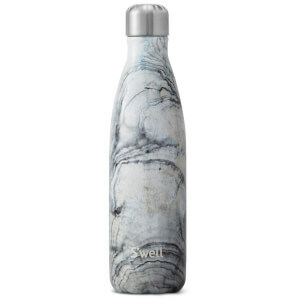 The eco-friendly bottle has a silver, leak-free, screw-top cap and S’well branding and a mouth large enough for ice cubes. 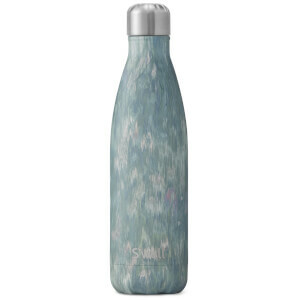 It is the perfect accessory to help you to stay hydrated all day long, at work, at home or on holiday while reducing your use of disposable plastic bottles. Dimensions: H: 30cm x Ø: 8cm. Capacity: 750ml/25oz. Weight: 453g.